Going National on Times Square! 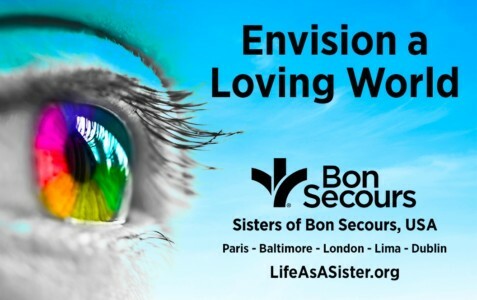 The Sisters of Bon Secours messages of “Be Kind” and “Envision a Loving World” will light up two billboards throughout the day today, visible to hundreds of thousands of visitors to Times Square. It is part of the celebration of National Non-Profit Day. The Sisters want to share our message of love and kindness and to celebrate the non-profits that work tirelessly to make the world a better place. Be Kind, Spread Joy, Be Good Help!